Director Dan Reed admits one of Michael Jackson's accusers got the dates of the alleged abuse wrong. 'Leaving Neverland' director Dan Reed has reportedly made a U-turn regarding a major claim made in the documentary. Reed made the admission after Michael Jackson's biographer, Mike Smallcombe, pointed out that there were some discrepancies in James Safechuck and Wade Robson's stories. Smallcombe revealed on social media that the timeline of the abuse Safechuck gave in the two-part doccie did not add up. Safechuck said in the documentary that one incident occurred within Neverland's train station. But according to Smallcombe, the train station was built two years after the victim claimed the abuse ended. In lawsuits filed against the singer's estate, Safechuck claimed the singer abused him for four years. The incidents allegedly took place between 1988 and 1992. Construction on Neverland's train station began in late 1993, according to Smallcombe, and the station was only opened in 1994. 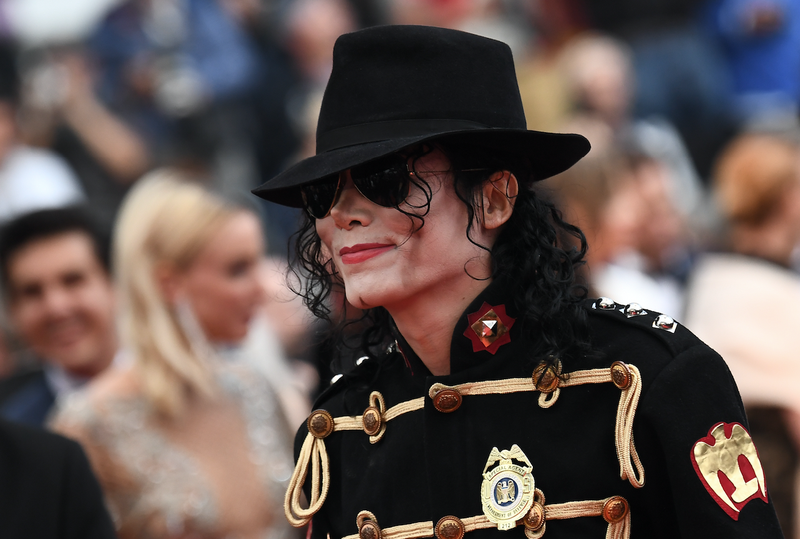 ALSO READ: Michael Jackson – Music genius vs alleged monster molester? The picture below was taken on August 25, 1993. The train station wasn’t there (top of image). Work on the floral clock had started. The construction of the actual building was approved by Santa Barbara County on September 2, 1993 (see below). A handful of people are citing something in Randall Sullivan’s book saying Neverland’s train station existed in 1990. Smallcombe also accused Wade Robson of "fabricating" his story about when the abuse started. Robson claimed in the 'Leaving Neverland' documentary that he was left alone with MJ while his family went on holiday to the Grand Canyon. But Smallcombe says testimony by Robson's mother revealed that the entire family went on the trip. "Wade Robson told a detailed story of how he claimed he was abused for the first time. How his family left him at Neverland alone, and went to the Grand Canyon. This can now be proven as false. Yet he was able to tell it to the world, without any scrutiny," he tweeted. Director Reed denies making a u-turn but admits Safechuck got the date the abuse ended wrong. "Nope. No u-turn. No clash of dates. James was present at Neverland before and after the train station was built. In fact, he took photos of the completed station which we included in the doc. And his sexual contact with Michael lasted into his teens. That’s all in the film.," he tweeted. Nope. No u-turn. No clash of dates. James was present at Neverland before and after the train station was built. In fact he took photos of the completed station which we included in the doc. And his sexual contact with Michael lasted into his teens. That’s all in the film. "So @danreed1000 is now saying because the story has been debunked, suddenly the end of Safechuck’s abuse was when he was 16/17 rather than 14. It’s a three year discrepancy. Just hold your hands up, don’t change the story. This is what happens when you don’t investigate properly." Reed was adamant that Safechuck visited Neverland after the train station was built. "Safechuck was at Neverland after the train station was completed. He even took photos of the station, we put two of these in the film. And he’s clear in the documentary that the sexual contact with Jackson continued into his teens," Reed wrote. But many were not convinced. "In his complaint he says the abuse stopped at 14, he says this in your film and if it isn’t true it defeats the narrative of your film that Michael lost interest when they hit puberty’s. You’re lying again," one tweep wrote. Another added: "Ummmm your film categorically stated that MJ lost interest in the boys when they hit puberty but now you want us to believe that MJ was molesting a 17 year old???? Give it up Dan!" Some social media users defended the documentary, saying it's not unusual for abuse victims to get dates and events mixed up. "I wish all the critics, including Piers Morgan will educate themselves about sexual abuse. The trauma is so great, the confusion so profound, dates and events are often mixed up but the act of abuse is never forgotten. It's called dissociation," one person wrote. Another added: "Memory is the only evidence in historic sexual abuse. When adults recall past abuse from decades earlier, it can have peripheral information & thus contain reconstructive errors, but recalling the experience of the abuse is usually accurate. The train station date is irrelevant." Safechuck’s own sworn declaration from his ongoing lawsuit makes no mention of him ever visiting Neverland after 1992/3. He only testifies to seeing Jackson in Boston, Washington DC, Chicago, Budapest and New Jersey. now he’s saying that James was “abused” when he was 16/17?? Ummmm your film categorically stated that MJ lost interest in the boys when they hit puberty but now you want us to believe that MJ was molesting a 17 year old???? Give it up Dan!